The Cotton On Group DC at Avalon Airport Industrial Precinct has officially opened. 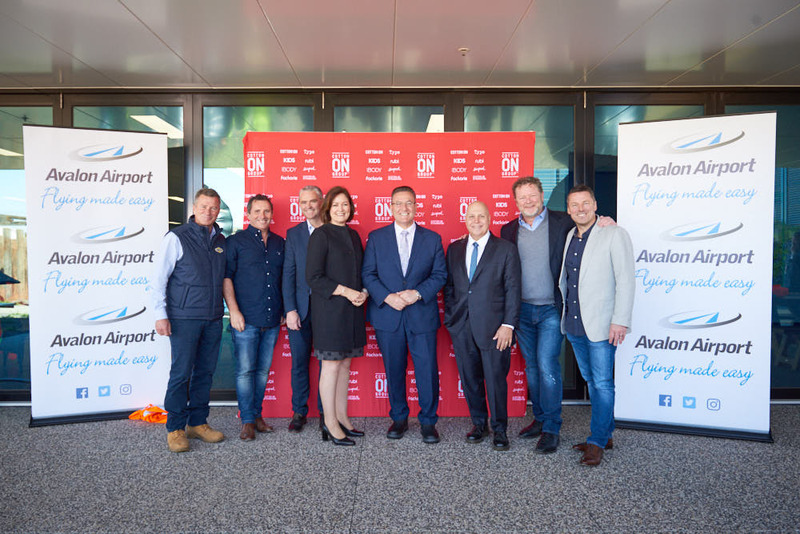 Avalon Airport launched its Industrial Hub with the official opening of anchor tenant the Cotton On Group’s new national distribution centre today. The facility was opened by the Victorian Treasurer, Tim Pallas MP, and Assistant Minister for Social Services, Housing and Disability Services and Federal Member for Corangamite, the Hon Sarah Henderson MP. Speakers included Chief Executive Linfox Airports, David Fox, Cotton On Group CEO, Peter Johnson, and Avalon Airport CEO, Justin Giddings. The State Government announced funding of the precinct in August 2016. Linfox and the Cotton On Group have invested $40million between them to create the bespoke 35,000sqm distribution centre, with 18,000 sqm office, and building by Qanstruct began in June 2017. The state of the art facility will provide a world class environment for the Cotton On Group team members and exceptional customer service through improved operational efficiencies. The Avalon Airport Masterplan was signed off by the Federal Government late 2015, paving the way for the expansion. It is expected that the airport’s location on the doorstep of the growth corridor between Wyndham and Geelong, and with access to domestic travel, international travel from December 2018, and freight and logistics options, more businesses will soon follow suit. “This incredible 35,000 square meter facility at Avalon will satisfy our customers’ demand for speed; delivering product to our customer faster than ever before, and it will provide a working environment our team will love, designed to mirror the environment of our Global Support Centre in Geelong.